In September 1946, 86 students and seven faculty members opened a new “undergraduate school for men” in Claremont, California. Classes began even before a name was chosen; the school was incorporated as Claremont Men’s College in the spring of 1947. CMC was the third Claremont College, following Pomona College and Scripps College. President Benson with staff, faculty, and students cleared the rocks and sagebrush for what is now the main, North Mall. They built a simple and open campus, with straight utilitarian lines, featuring windows and doors that opened onto the Mall and remained open year round in the Southern California sunshine. They followed shortly after with the dining hall. It served the entire student body and remains today a single, central, daily gathering place for every member of the campus. CMC was so committed in its first years to the notion of preparing liberal arts educated business and public leaders that it refused to designate majors. 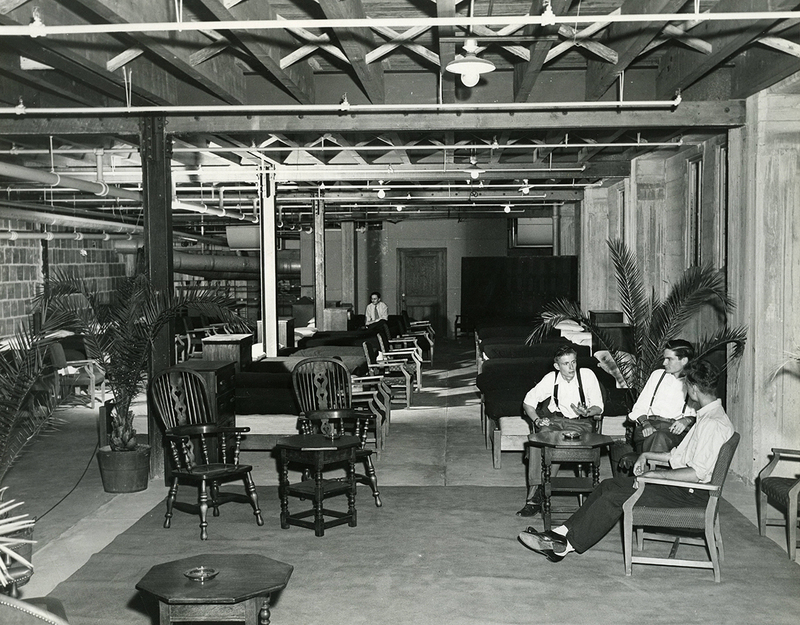 By 1951, however, CMC established seven majors: accounting, business administration, economics, fine arts (with Scripps College), government, humanities, and international affairs. A senior thesis requirement was established and continues today as the capstone of a CMC education. The College had a practical cast. This mission infused the whole student experience. 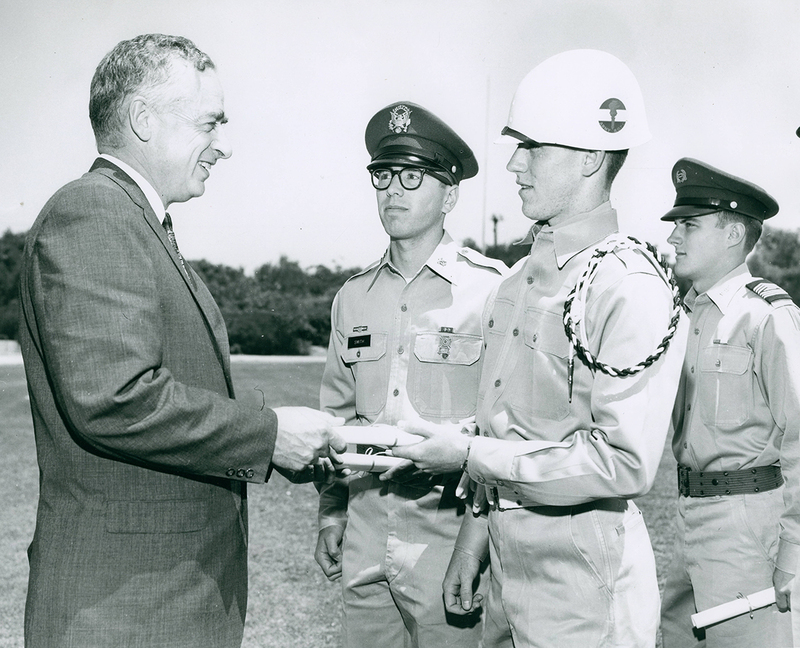 In student and academic life, the College emphasized leadership. The administration attracted a dedicated faculty. They invested in their teaching, taught small classes, demanded much and were rewarded with a strong response. The disciplines of economics and government and the field of political economy were the heart of the curriculum. The mission took and became the College’s greatest strategic asset. The elevation of academic standards, facilities, and resources escalated with each decade. 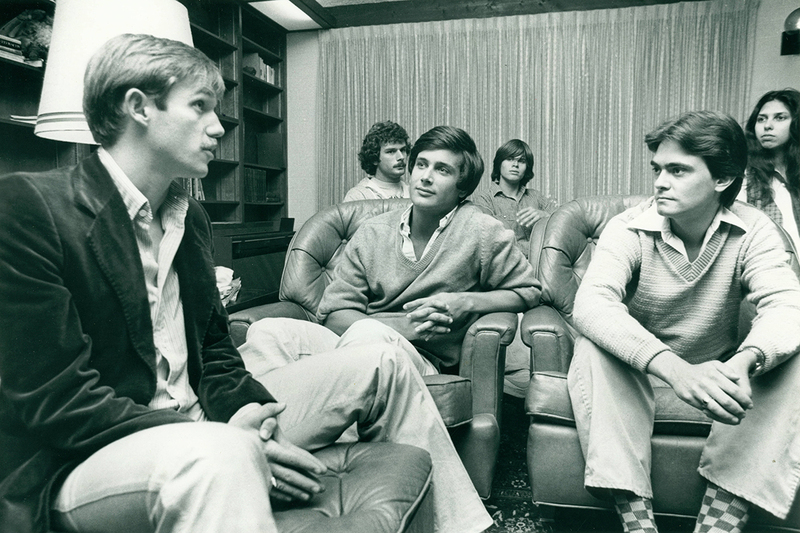 By the 1970s, as Claremont Men’s College was gaining recognition as a top-tier liberal arts college, the College’s leadership acknowledged coeducation as vital to its future development. 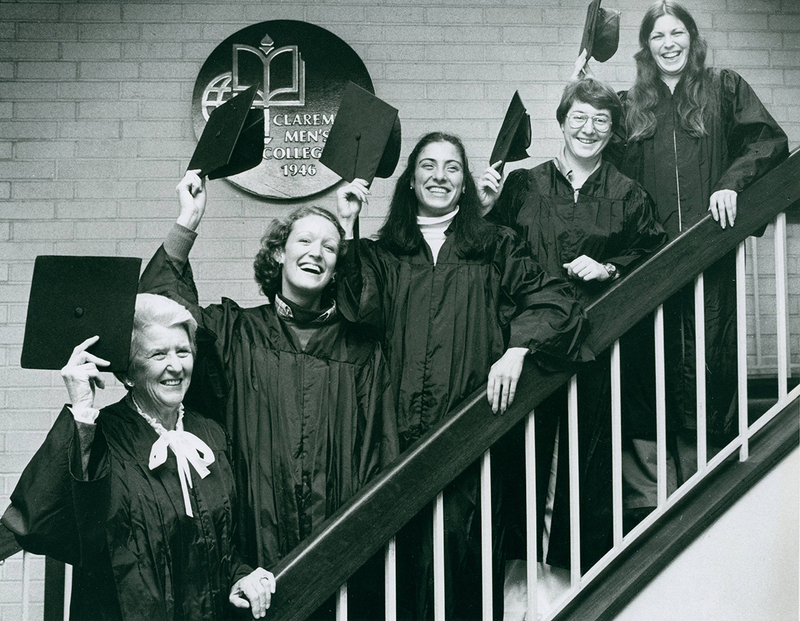 Women were admitted in 1976, and in 1978 six transfer students composed the first class of women graduates. The College continued to be called Claremont Men’s College for the first five years of coeducation. 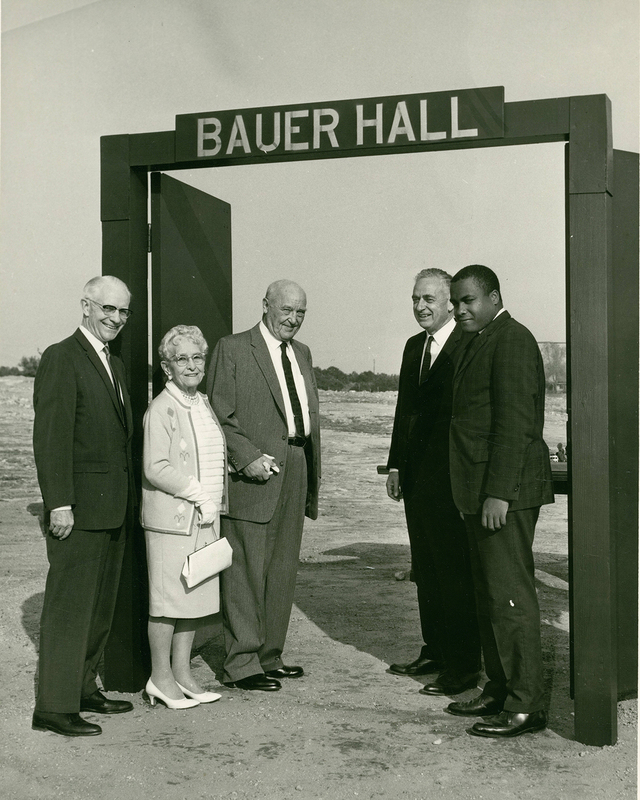 In 1981, the College was renamed Claremont McKenna College, recognizing the role of founding benefactor and trustee Donald McKenna. Athletics at CMC began with joint Pomona-Claremont teams. In 1957, CMC joined Harvey Mudd College to form CMC-HMC teams with the Stags mascot. With coeducation, the current Claremont-Mudd-Scripps women’s teams were created, adopting the Scripps Athena mascot. Though fitness and recreation have always been important to the CMC experience (the College maintains a physical education requirement), CMS Athletics has become highly competitive in NCAA Division III, with several teams typically in contention for national championships. The College’s founding vision of a liberal arts education as the basis for leadership has been consistent throughout CMC’s evolution and rise. CMC continues to require a broad general education requirement for all students, culminating in an ambitious senior thesis. The W.M. Keck Science Department run jointly with Scripps and Pitzer colleges was established in 1964. CMC has also built over time a range of educational programming beyond traditional coursework that is unique to its leadership-focused environment. Eleven campus Research Institutes and Centers provide students with opportunities to collaborate with faculty to a degree normally only found at the graduate level. Nearly 75% of Claremont McKenna students participate in research with faculty. 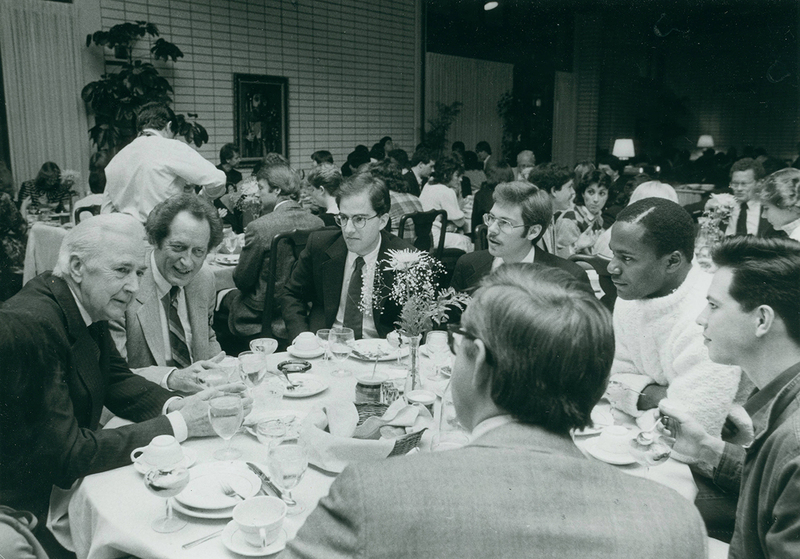 Since 1970, the Athenaeum hosts distinguished speakers several days a week for luncheon and dinner addresses. 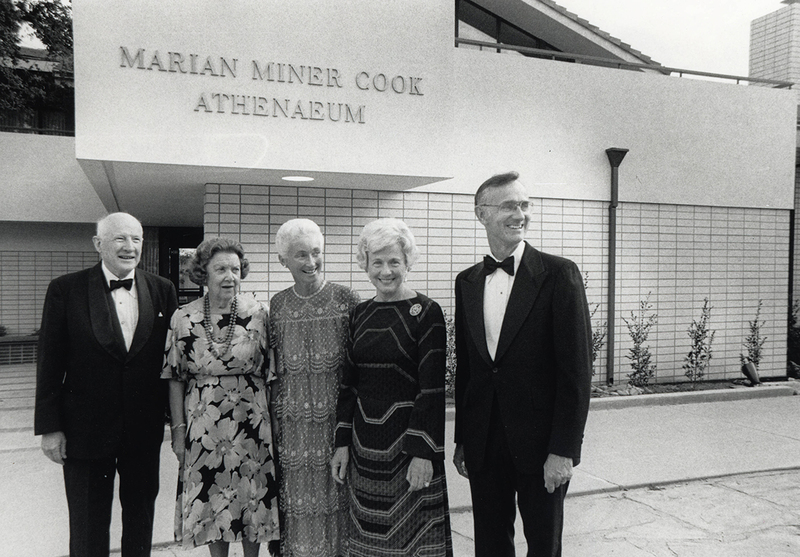 The current Marian Miner Cook Athenaeum opened in 1983. Students are the primary audience and are joined by College faculty and staff. Speakers have included a broad array of leading intellectuals and artists, heads of state, and prominent authors. By the start of the 21st century, CMC was solidly established as a top national liberal arts college, with a faculty of leading scholar-teachers and an accomplished base of alumni committed to the College’s success. From that foundation, CMC made several leaps forward in the 2000s. After raising $635 million by 2013 through the largest capital campaign in liberal arts college history, older facilities were replaced with new energy efficient and architecturally significant ones, including the Kravis Center academic complex and the Roberts Pavilion athletics, events, and recreation center. Enrollment expanded from 1,000 students in 1999 to 1,300 students today and, as a result, faculty expanded to keep the faculty student ratio at 9:1 and 85% of classes taught with fewer than 20 students. A $200 million gift from alumnus and trustee Robert A. Day created an eponymous undergraduate and graduate scholars program in economics and finance. CMC continues to maintain one of the highest per-student endowments in higher education. Current CMC initiatives include the Student Imperative, which has raised more than $100 million to support financial aid, to provide focused research and internship experiences, and to cultivate thoughtful and responsible leadership through residential and student life experiences. CMC has invested substantially in the sciences, computer science, and data science recognizing the growing importance of those disciplines to CMC’s emphasis on private and public sector leadership as well as to all of the College’s academic disciplines. In the liberal arts tradition of the American academy, CMC evolved uniquely. Claremont McKenna continues to develop as a committed liberal arts college, with an accent on practical success. It teaches doers and thinkers, steeped in the reflective tradition of the liberal arts, and sharpened by a concentration on how to apply ideas in the world. It became an institution whose graduates were both empowered and driven to make an impact, a mission unchanged since 1946.